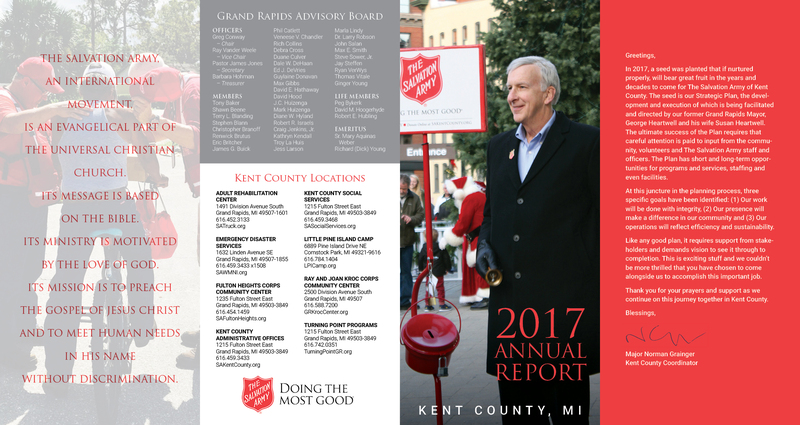 In 2017, a seed was planted that if nurtured properly, will bear great fruit in the years and decades to come for The Salvation Army of Kent County. The seed is our Strategic Plan, the development and execution of which is being facilitated and directed by our former Grand Rapids Mayor, George Heartwell and his wife Susan Heartwell. 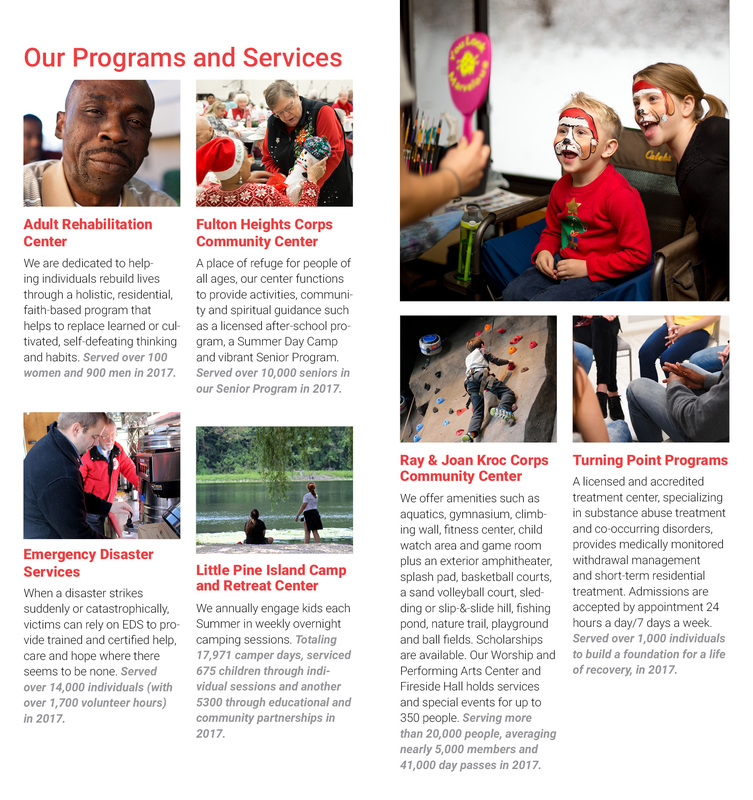 The ultimate success of the Plan requires that careful attention is paid to input from the community, volunteers and The Salvation Army staff and officers. 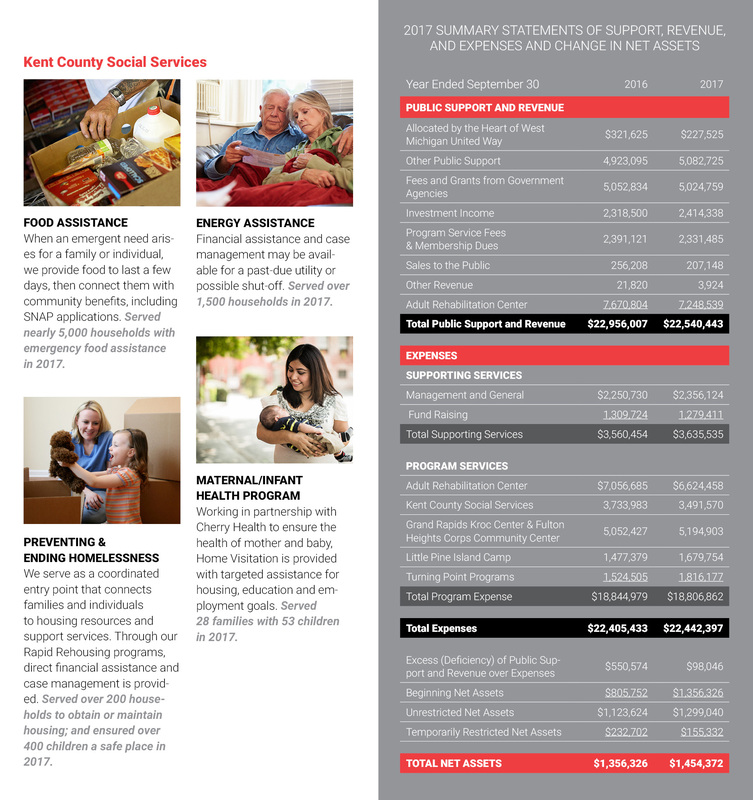 The Plan has short and long-term opportunities for programs and services, staffing and even facilities. operations will reflect efficiency and sustainability. Like any good plan, it requires support from stakeholders and demands vision to see it through to completion. This is exciting stuff and we couldn’t be more thrilled that you have chosen to come alongside us to accomplish this important job. Thank you for your prayers and support as we continue on this journey together in Kent County.